In this week’s edition of OUT On The Street, I found writer and stylist James King on Greene Street, in SoHo, showing us how to dress up a pair of geometric camo pants from Club Monaco. See the full look on Out.com, and check out more street style on Vee Travels. 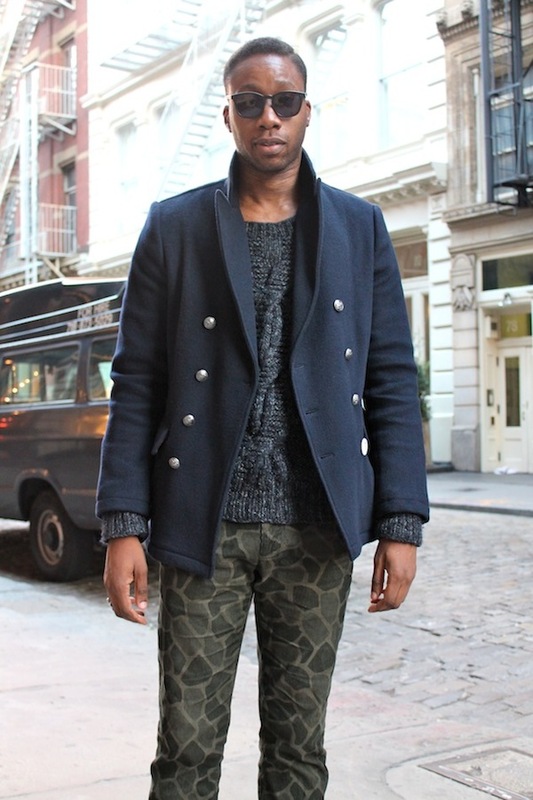 Posted on December 5, 2013, in Fashion, Street Style and tagged camo, Club Monaco, Fashion, Menswear, Street Style. Bookmark the permalink. Leave a comment.